HÀ NỘI — Brand Finance, the world’s leading independent branded business valuation and strategy consultancy, has valued Việt Nam nation brand at US$203 billion. This makes the country among the top 50 most valuable nation brands in the world. The Việt Nam nation brand value has moved up five places from the 2016 ranking, to rank 45th this year. Topping the world’s most valuable nation brands of Brand Finance this year was the United States (US) with a value of $21.1 trillion, followed by China ($10.209 trillion), Germany ($4.021 trillion), Japan ($3.493 trillion) and the United Kingdom ($3.129 trillion). With a big jump of 43 per cent in value from last year, Việt Nam also ranked fifth among the fastest growing nation brands of 2017, with Iceland, which saw an increase of 83 per cent in nation brand value to reach $26 billion, topping the list, followed by Cyprus, Spain and China. Brand Finance gave the A+ rating to Việt Nam nation brand, which meant “strong”. Singapore maintained its position as the strongest nation brand with rating AAA+. 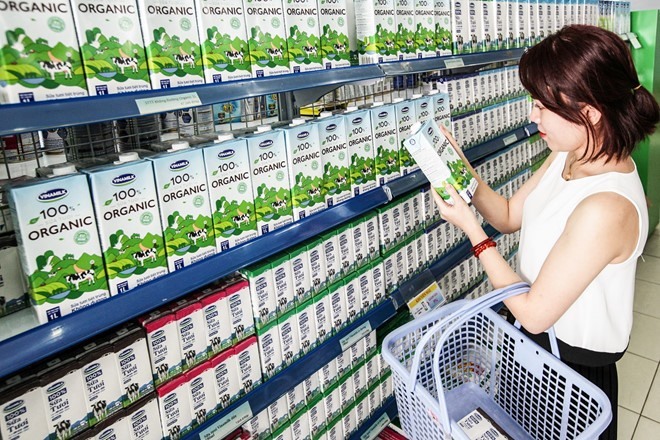 According to London-based Brand Finance, thanks to the efforts of the national mark program called “Việt Nam Value,” Việt Nam’s processed food industry now contributed upwards of $17 billion of the country’s exports and the apparel industry made up over $22 billion of exports. “These economic contributions are absolutely crucial for Việt Nam’s overall growth and would not have been entirely possible without the concentrated efforts by the Vietnamese government,” the report said. Việt Nam has implemented the national programme “Việt Nam Value” since 2003. Brand Finance, which was present in over 20 countries, also said that in the international marketplace, consumers had a much wider choice of products from different countries and sought a higher assurance of quality than what they simply got through the place of origin. “Gone are the days when just saying “Made in XYZ” was enough. Clearly everything manufactured in Việt Nam, Thailand, India and Australia, as well as Turkey, China or America could not all be great and vice versa. “Consumers need a warranty and assurance from the governments about the quality of products the country is exporting,” the report said, adding that building a strong national quality mark is a solution which will endorse the quality and authenticity of the products from the country.